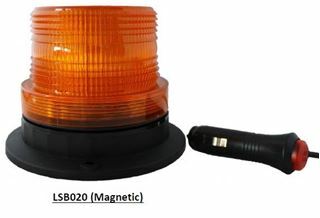 1 x Beacon (LED) 12-24v Magnetic. This small, dual voltage (12/24V) product is supplied with 2 flash patterns: rotating (default) and quad flash. 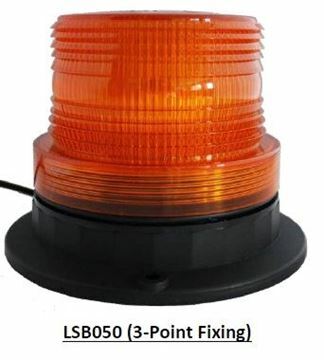 With ECE R10 approval and 1 year guarantee, the economical LSB beacon is an ideal product for road, plant and agricultural vehicles. The LSB is manufactured with 40 x ultra-bright SMD LEDs and is available with magnetic base and 3-point fixing (PCD 117mm).